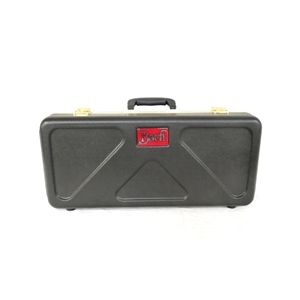 Designed for Bach‘s student model trumpet (TR300H2), this replacement case will work for nearly any trumpet. Black molded plastic case with metal latches and gold trim. The interior includes space for storage of mouthpieces and other small accessories. Includes a shoulder strap.